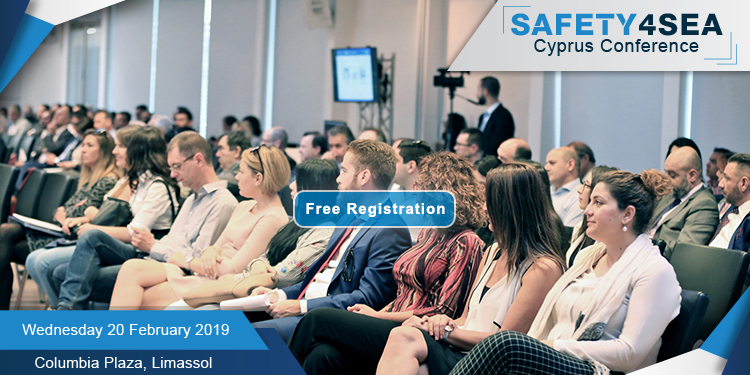 The 2nd SAFETY4SEA Cyprus Conference is scheduled to take place on Wednesday 20th of February 2019, from 09:00 until 17:00, at the Columbia Venue Centre of Columbia Plaza, Limassol. This is a NON PROFIT event expected to attract 200+ persons / 100+ organizations from Safety, Technical, Marine departments of shipping operators and other related industry stakeholders. Attendance will be FREE of charge to delegates and subject to Registration. It is a must attend event for all companies and individuals interested in Maritime Environmental Excellence and Sustainable Shipping.